Can Rinsing with Mouthwash Really Replace Flossing? Well to be frank, no. No it cannot. Not even a little bit. 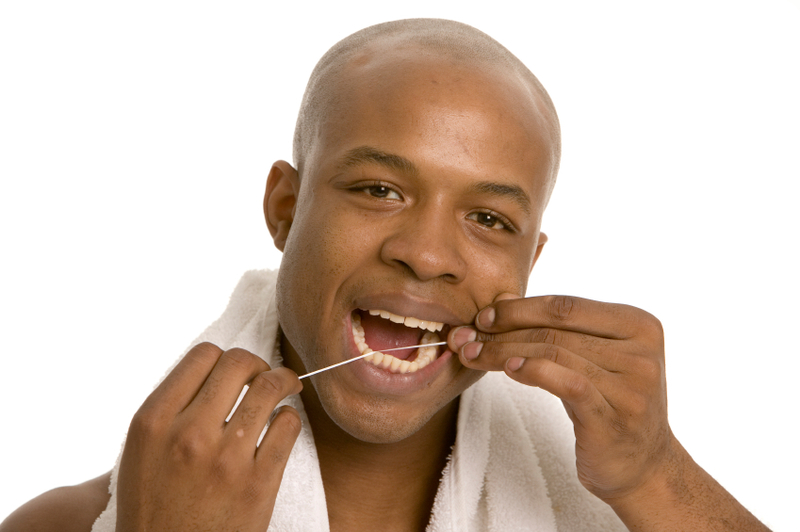 Flossing seems to be the thing that dentists always want us to do more of for good oral health as well as healthy teeth. So naturally we seem to always be trying to find a way out of it or at least an easier way to go about it. Rinsing with mouthwash may seem like the perfect way to avoid flossing, but has near the same effect. Flossing actually removes the sticky plaque from between the teeth, while mouthwash can remove food particles but has a much harder time fighting plaque between teeth. The family dentists at Dakota Dental are more than willing to help you add flossing to your daily routine. They will show you the proper way to floss to avoid any pain or bleeding in gums. Then once it becomes a habit, you will notice what a huge different it makes in the health of your teeth and gums. If flossing has always been a chore for you, it does not have to be! Schedule an appointment at Dakota Dental for a regular dental checkup, teeth whitening, or cleaning, and the dentists will be happy to answer any of your questions about flossing. The Apple Valley Family Dentists at Dakota Dental offer any and all dental services and promise a relaxed atmosphere with no judgment. They have options for everyone no matter the age or condition of oral health. From teeth fillings and crowns to cosmetic dentistry and smile makeovers, Dakota Dental can help give you the perfect teeth and healthy smile you have always wanted!